A simple scarf with our new Halo yarn. Here on Fidalgo Island, the Saturday Farmers Market is quite the happening place starting in the early spring and continuing on through the end of autumn. This simple yet sweet basket-weave pattern is reminiscent of some of the woven shopping baskets one sometimes sees — and the scarf itself is a perfect accompaniment to a cool morning wandering the stalls at the market. 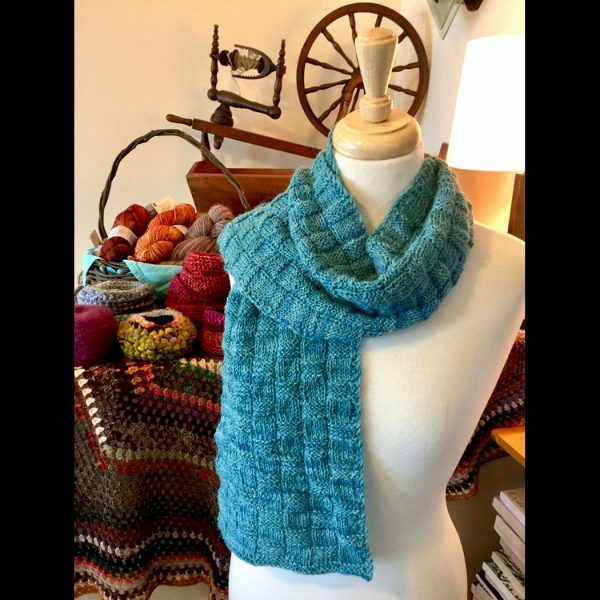 Using just knits and purls, this is a lovely project for beginning knitters but also engaging enough for more advanced knitters.